As new business people to Canada in construction and real-estate projects you first seek the right information for buying land in Canada to build a first real-estate home project, a condo building or a commercial dwelling. 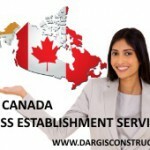 Construction Daniel Dargis Inc. acts as an expert and advisor to help you not only with buying land in Canada but also by providing you the legal tools by which it is possible to become a general contractor and build the project yourself and therefore increase your profits. It is not desirable to do business with a real-estate agent to look for buying land in Canada, because, in general, he is more concerned with the sales commission than about the feasibility and profitability of the project. Construction Daniel Dargis Inc. advises business people with the watchful eye of a licensed expert in construction, in real-estate projects and in the construction market in Quebec, Canada. If you are preparing to buy a stretch of land think first about calling upon our services. The location is the most important element when it comes to buying land in Canada and in Quebec. It is what will determine the success of the project. If you want to build a condo building project, proximity and accessibility of subways, transportation routes, shopping centers and pretty, quiet places are important to consider for buying land in Canada. Canadians love the great outdoors, peace at home, but also the convenience of a home. But, buying land in Canada for future construction projects must be based on more than just the location. In what state is the land that you are about to buy? The soil, is it as good as it should be to support the construction of buildings? Does it ensure well the drainage of rainwater and surrounding? Is there any risk of flooding? How is the slope of the land? Is it possible that the soil is contaminated? Must special permits be requested for the project from the municipality or the government? All of these elements can affect the cost of rehabilitation of the land before construction and therefore your profits for your projects. Buying land in Canada is a key stage to the success of the project. We can help you make the right decision for buying land in Canada. Before thinking of buying land in Canada it is important to look at the technical elements and do an analysis of the soil, of the pre-authorizations at the municipality, of the feasibility and profitability of the project with sketches and budgetary estimate of the project, and with a marketing and market demand study. When all these initial points have first been considered then it is possible to think about negotiating for and buying land in Canada. This is why Daniel Dargis Construction Inc. is the expert in construction and real-estate projects you need to make a good pre-purchase analysis of the project. Construction Daniel Dargis Inc. therefore helps you firstly to find land to buy, to analyze ‘pre-purchase’ the feasibility of the project and then we carry it out further through the comprehensive plans with our architects and engineers, demand for permits, the turnkey construction, or we can help you build your own business by creating a Canadian construction company especially licensed for you. The evaluation of all these factors leading to a clear and thoughtful decision about buying land in Canada or in Quebec can only be taken care of by an expert and impartial advisor who is knowledgeable about Quebec, Canada real-estate and construction.